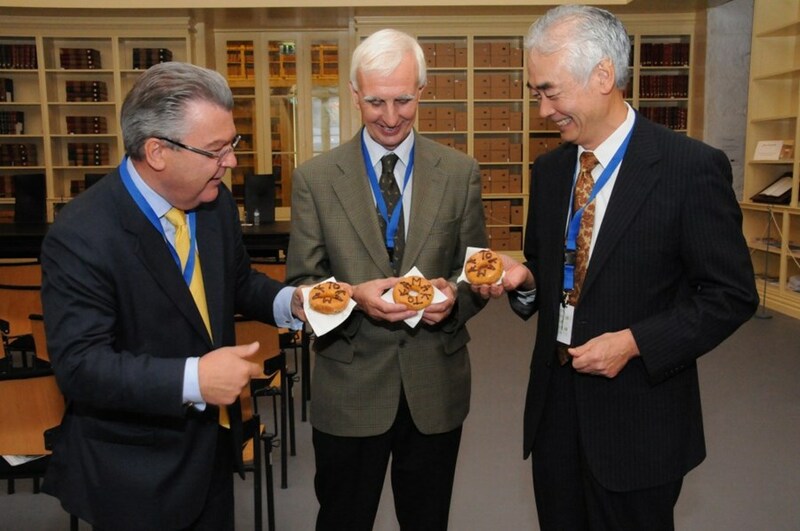 Tasting the sweet side of fusion: Rudolf Strohmeier, Frank Briscoe and Osamu Motojima enjoying a tokamak doughnut during a conference break. Vasco de Gama, Ferdinand Magellan, Christopher Columbus—the names of many great explorers are linked to Portugal. It was here, at the western tip of the European continent, where these brave men took off to discover new frontiers. This week, it was another generation of explorers that set sail in Portugal. 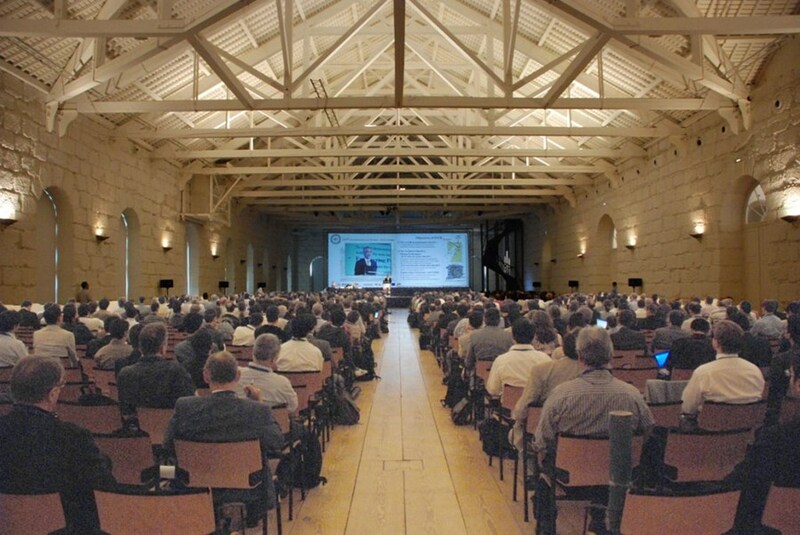 20 years after the Lisbon convention, the Symposium on Fusion Technology, better known as the SOFT conference, was back on Portuguese ground, in Porto. The SOFT conference is an important gauge in measuring the progress made in the development of fusion energy. For its 26th edition—with more than 1,200 participants (200 from industry) and more than 170 poster presentations per day—the SOFT conference beat its own record. Organizer Carlos Varandas, Chairman of the Governing Board of the European Domestic Agency Fusion for Energy (F4E), was "very impressed" by the large number of participants. Watching the crowds in the poster sessions, especially the many young scientists who had come from far away to present their latest research results on the development of fusion energy—whether tokamak, stellerator or inertial fusion—was indeed encouraging. 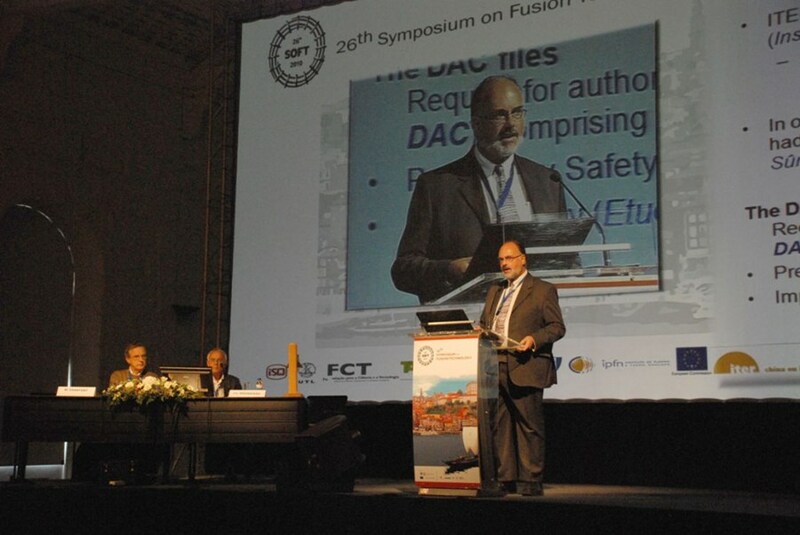 "This attention indicates the vitality of the fusion program," Varandas said, "and that has a lot to do with ITER." Varandas credits the increased participation to the fact that ITER is physically taking shape and that the project's Baseline is now approved. "The making of ITER has become a catalyst for fusion development." The SOFT audience in the Alfândega, the historic customs building on the banks of the River Duoro. Fritz Wagner, one of the many prominent senior scientists participating in the conference and who led a workshop on Large Scale Technology Facilities, was equally impressed. "It is fantastic to see the increasing importance of this conference. It gives us confidence and the young people an opportunity to get an update on the status of fusion research." Rudolf Strohmeier, Deputy Director-General of the Research Directorate within the European Commission, described what that status is: "Fusion energy research is reaching a state of maturity." Neill Taylor reporting on the updated safety analysis of ITER. This 26th SOFT was also the first opportunity for the ITER Director-General Osamu Motojima to address the assembled international fusion community and to report on the current status and his "action plan" for the ITER Project—a plan that builds on cost containment, improved coordination between the ITER Organization and the Domestic Agencies, and a staffing plan that aims to increase the number of staff from the Member States and increased efficiency in the organizational structures. "We also have to open the door for young people," Motojima concluded. Driven by curiosity and determination, people like Magellan and Columbus set sail to discover a yet unknown world. Curiosity and determination are also the drivers for research. Research that will deliver the answers to still outstanding questions for the commercial development of fusion energy. The 26th Symposium on Fusion Technology has left no doubt on this.